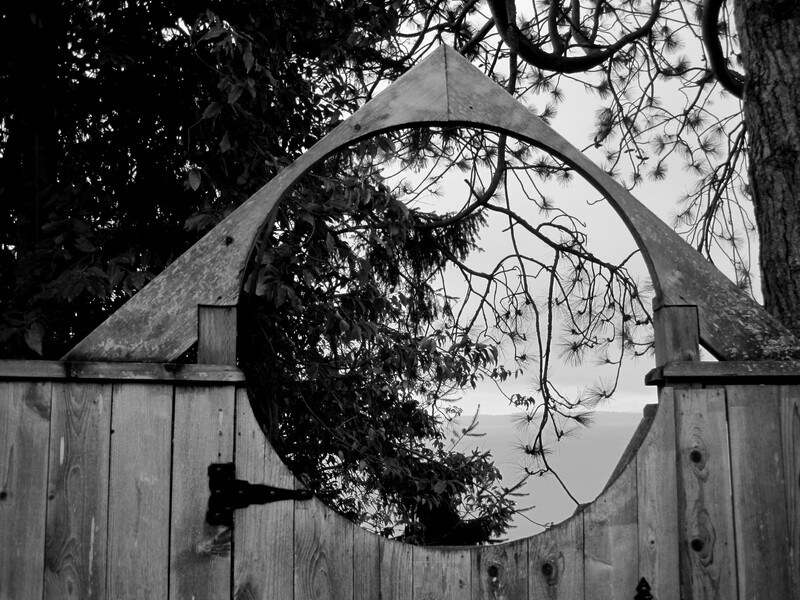 This week the Cee’s Black and White Challenge was Fences & Gates. This lovely example came to mind since it has a peek of Puget Sound thru the trees. 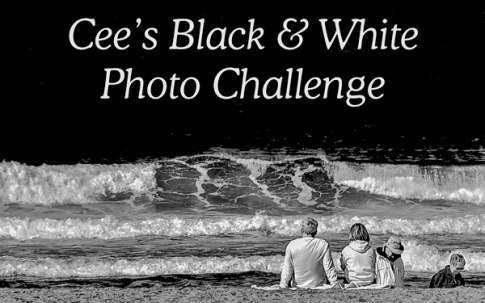 Hope you enjoy this and if you want to see more examples of Black & White Fences & Gates here is the link to Cee’s site. I had another gate in mind but it did not do well in black & white. 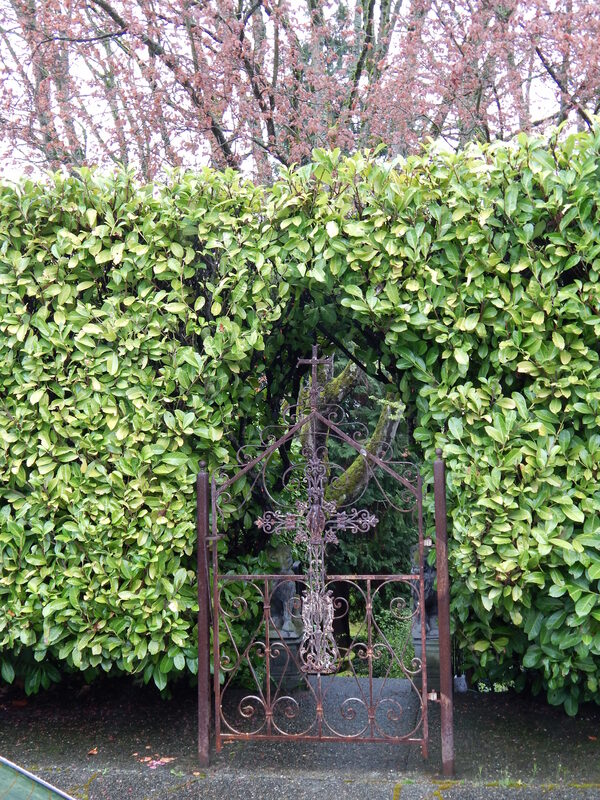 It is a wonderful wrought iron example and it disappeared into the hedge when the color was removed. Here is the post I used the gate to open the door about a post on the original Lake Washington Floating Bridge which was just a half block away.